You read that right — Hogwarts has made the transition into the digital age. A new, fan-made website dedicated to Hogwarts not only perfectly parodies modern college websites, but you can actually take Hogwarts' classes online. You can get the entire college experience from Hogwarts School of Witchcraft and Wizardry. Volunteers teach the classes and grade papers... although the credits or only transferable between Wizarding Institutions, so they won't show up on your college transcript. But you can buy books, join a dorm, earn House Points, and get the entire magical college experience online. There is not a child in existence that read the Harry Potter books and did not desperately wish that they would get an acceptance letter from Hogwarts by owl. And now, that's an actual possibility — you'll just be getting your acceptance letter by email instead. Pottermore is still the definitive Harry Potter virtual experience, but it's more of a reading companion than an immersive virtual world. This site is still pretty new, so it's not fully fleshed out quite yet, but it's as real as a virtual experience can be. Flourish & Blotts digitized their library and made it available for download. There's now online banking at Gringotts. You can join the Quidditch team or write for The Daily Owl...the possibilities are practically endless. The generic "students having fun!" photos. The photos of the beautiful campus. They even actually use the phrase "we pride ourselves on the academic achievement and success that our students have achieved." It projects the same forced, shiny happiness of most modern college websites, and it's hilarious. These aren't just classes for role-playing your Hogwarts academic dreams. They are completely real, 9-week courses with assignments and due dates. Most of the assignments are essays graded by the volunteer teachers, and they're pretty tough...Alex Heimbach over at Slate got a C on one of his essays. The people who made this site have delved deep into the Harry Potter literature for the course material. Case in point: the aforementioned essay was on exceptions to Gamp's Law of Elemental Transfiguration, a concept that Hermione mentions one time in Harry Potter and the Deathly Hallows. 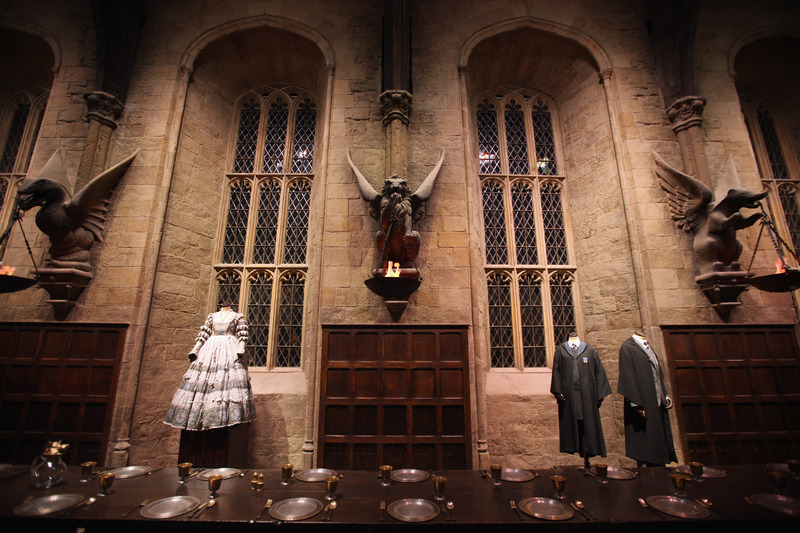 Not only does the academic work go deep into the wizarding world of Harry Potter, but some of it is more difficult than most college courses.